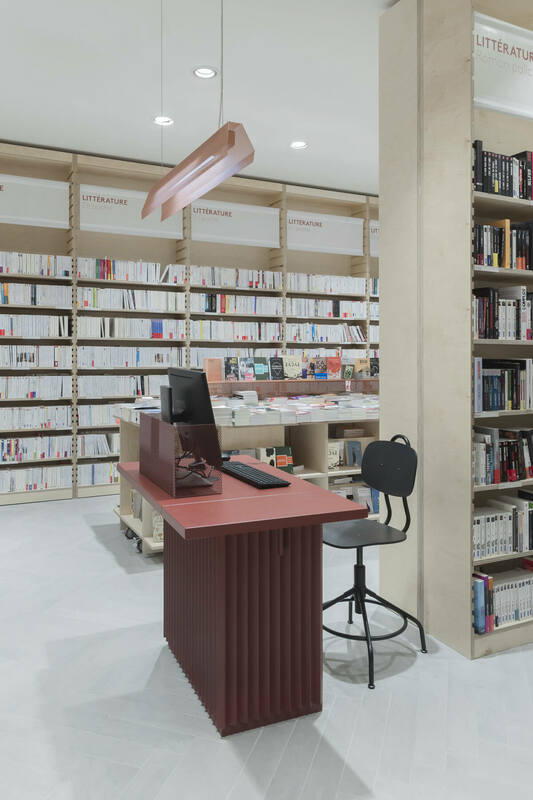 ICI is the largest independent library to open in Paris since 20 years. 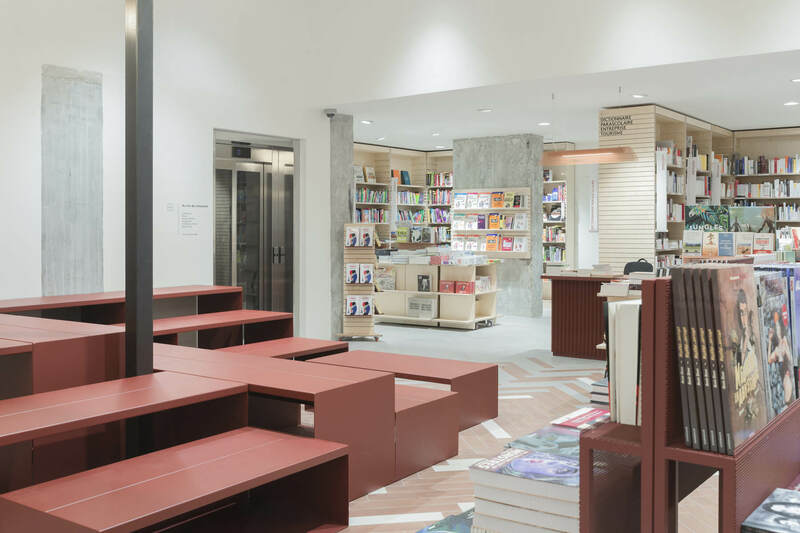 The shop offers 40 000 book references over its 500sqm. 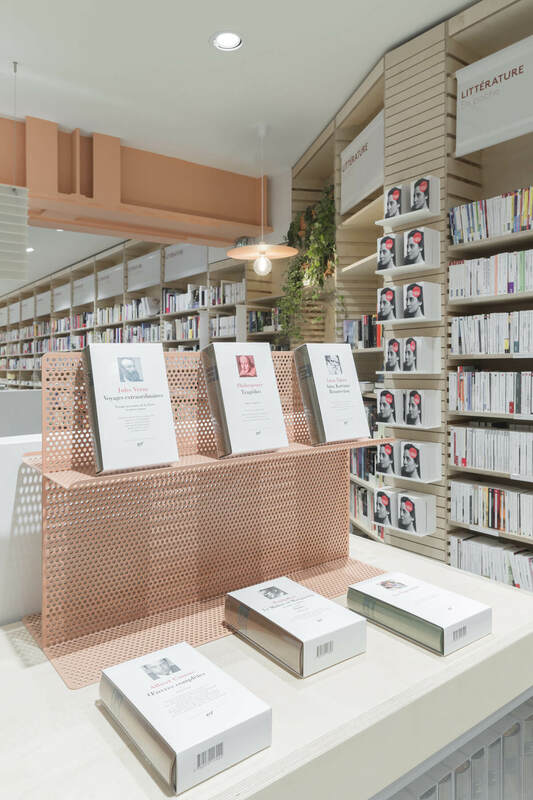 Far from the big brands, ICI is a local business and a cultural meeting place where people come to share their thirst of literature. The layout has been thought in order to offer a breathing bubble in the city. Just like a second home where Parisian people want to sit and read for a while. The place hosts a Café, a children area, a exhibition space and an agora. The flow is fluid and intuitive so that people can orientate easily and feel comfortable. The Studio has thought the entire library as one global project. 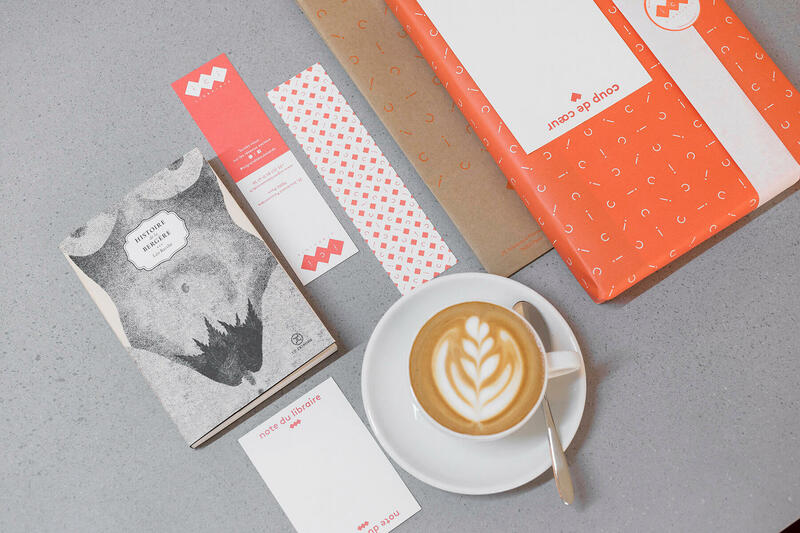 From the architecture to the visual identity and signage, everything has been designed together. « Less is more » is the philosophy we applied to our work during this whole adventure. Despite of the very heavy program, the layout fits the studio codes : clear and pure shapes, simple and durable design. 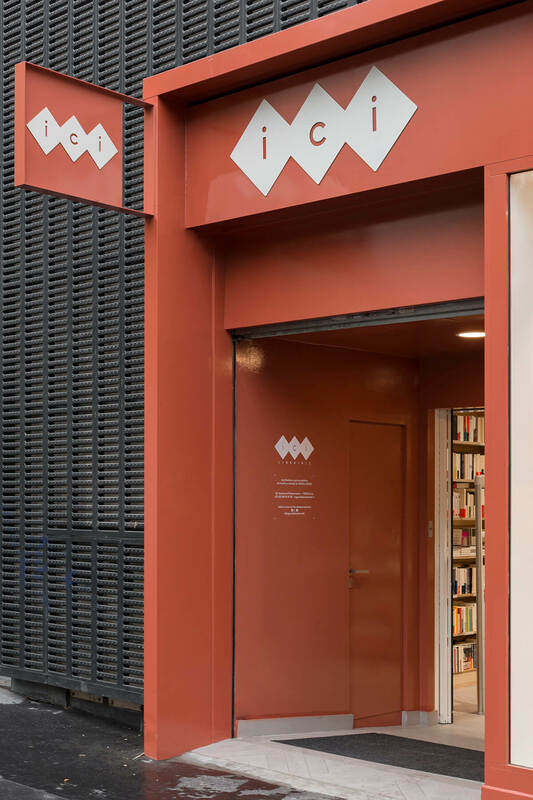 It all starts with the logo upon the shop façade : « ICI », three letters, three diamonds, symbolizing the « third place ». 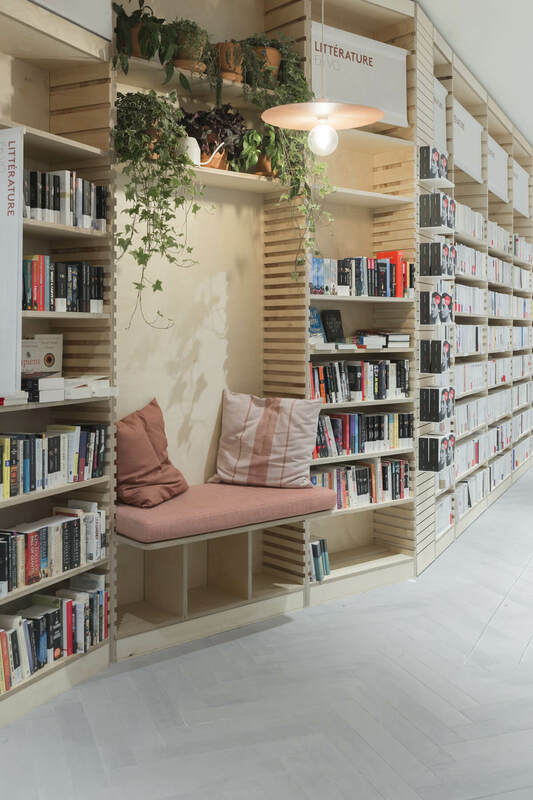 A space made out of a book shop, a café, and an agora to gather people. 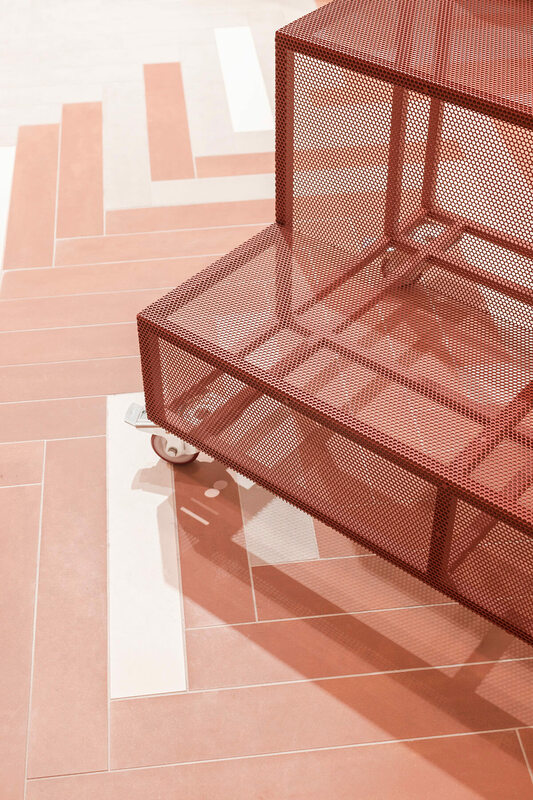 We used a very natural color palette (terra-cotta, rough concrete, wood) to match the light ceramic floor. 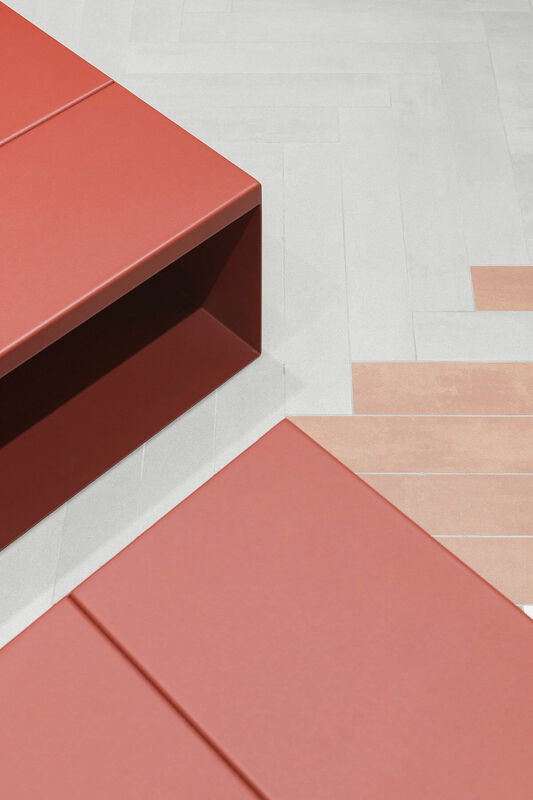 Just like a textile rug, the stoneware slates are mixing colors and get more and more dense around the main parts of the library. The shelves and tables are made out of natural beech wood and groove have been cut into some parts to hang some modular displays on it. The tables are fixed on wheels to move whenever the library hosts a spécial évent. The shelves underneath represent a huge storage space meanwhile the metal stands show the last book covers. Other systems such as wall tablets make perfect présentation Tools. 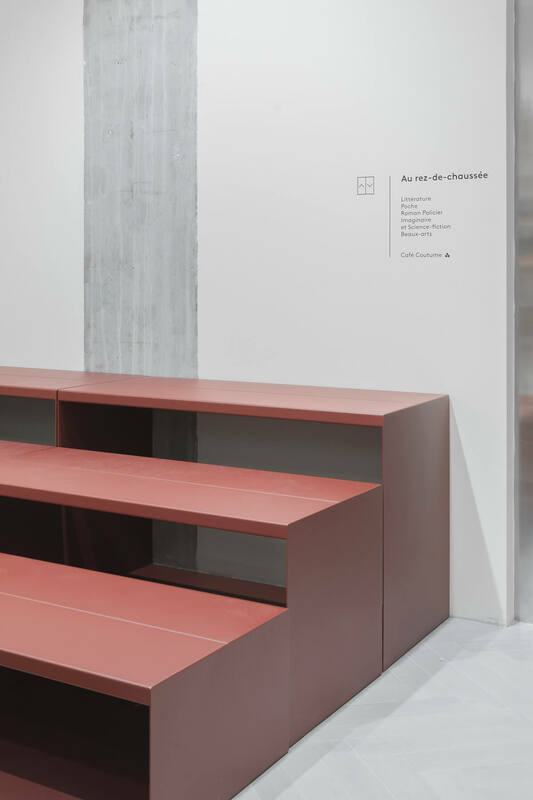 This space has been thought as a real living place, meant to host spécial évents. 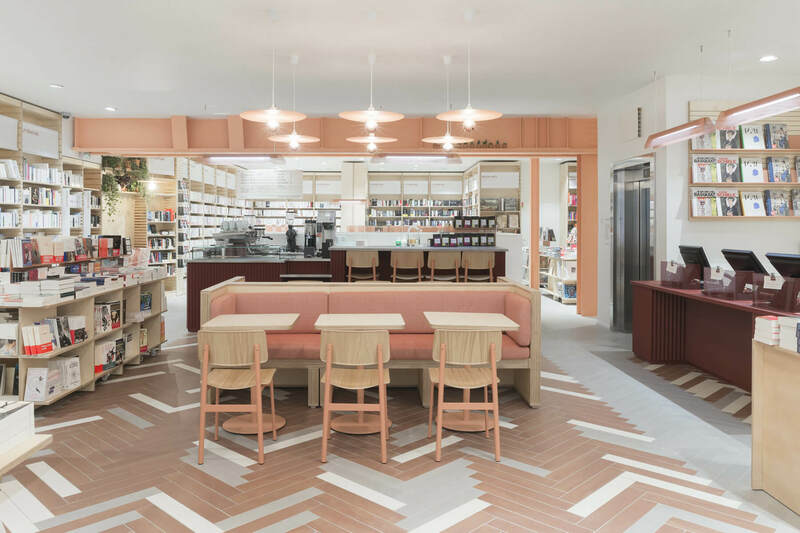 The Coutume café is visible from the street and offers a large countertop and comfortable banquettes for people to sit in the middle of the beaux arts ans literature area. The underground level hosts the children, human sciences, comics and papers area, and also an exhibition space to promote Young artists. We designed a modular seating system to be used differently depending on the type of évents that the library will host. 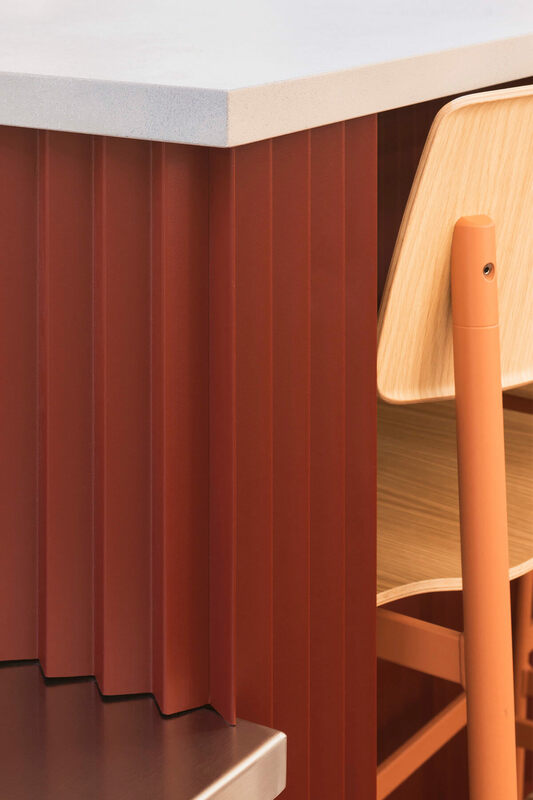 The children nest was designed like two parenthesis to provide them with intimacy and comfort, and create a cocoon where they can relax with a nice book. 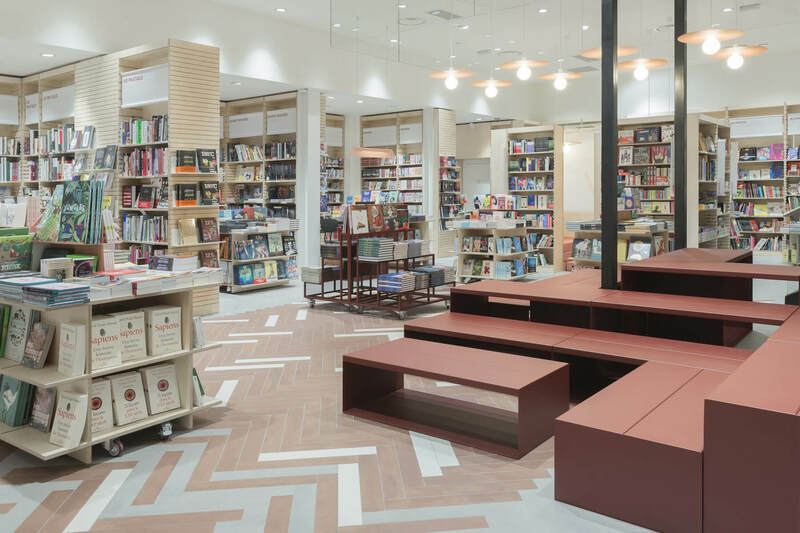 The global design breaks the walls of traditional bookstore to make it an inspiring and inspired place.